Coconut Almond Chia Seed Pudding — delicious, satisfying and full of omega-3 fatty acids, protein, antioxidants and fiber –- perfect for an easy, healthy breakfast or snack anytime of day. I’ve been wanting to try chia seeds for awhile now, they are considered a super food as they are rich in fiber, protein, omega-3 fatty acids, and antioxidants. I finally got the chance thanks to my brother and my husband. My brother and I are both runners and whenever we get together we like to go running and talk about all things running related. My brother came for a short visit this past January, and he told us about this great book he just read about ultra-running, Born to Run . My husband, who is also a runner, read the book and as a result of all the good things he read about chia seeds, he purchased Nutiva Organic Chia Seeds from Amazon. I was delighted to have a chance to try chia seeds. Chia seeds are very versatile. We like them, right out of the bag, sprinkled on our breakfast cereal. They give a nice little crunch, and our girls like them this way too. Chia seeds can be used in all sorts of recipes, both savory and sweet. I decided to start with a coconut chia seed pudding. Chia seeds are tiny, but when placed in a liquid, will absorb the liquid and expand a bit, creating a gelatinous mixture, similar to a tapioca pudding. The basic ingredients for this Coconut Almond Chia Seed Pudding are coconut milk, the kind you find in a carton in the dairy section, and chia seeds. I find that you don’t get much coconut flavor from coconut milk alone, so I added some coconut flakes. I love the combination of coconut and almond, so I also added a little bit of almond extract. This Coconut Almond Chia Seed Pudding is so easy to make, you just whisk the ingredients together in a mixing bowl. Then you pour the pudding into a mason jar, or two, and place in the refrigerator for 4 hours or overnight. When the pudding is ready, you can either transfer it to small bowls, or eat it straight from the jar(s). I like to sprinkle some additional coconut flakes on top, along with some sliced almonds for a little bit of crunch. Some fresh mint leaves provide a nice brightness and color. This Coconut Almond Chia Seed Pudding is a wonderful healthy, easy breakfast or snack anytime time of day, enjoy at home or on the go. Coconut Almond Chia Seed Pudding -- delicious, satisfying and full of omega-3 fatty acids, protein, antioxidants and fiber – perfect for an easy, healthy breakfast or snack anytime of day. 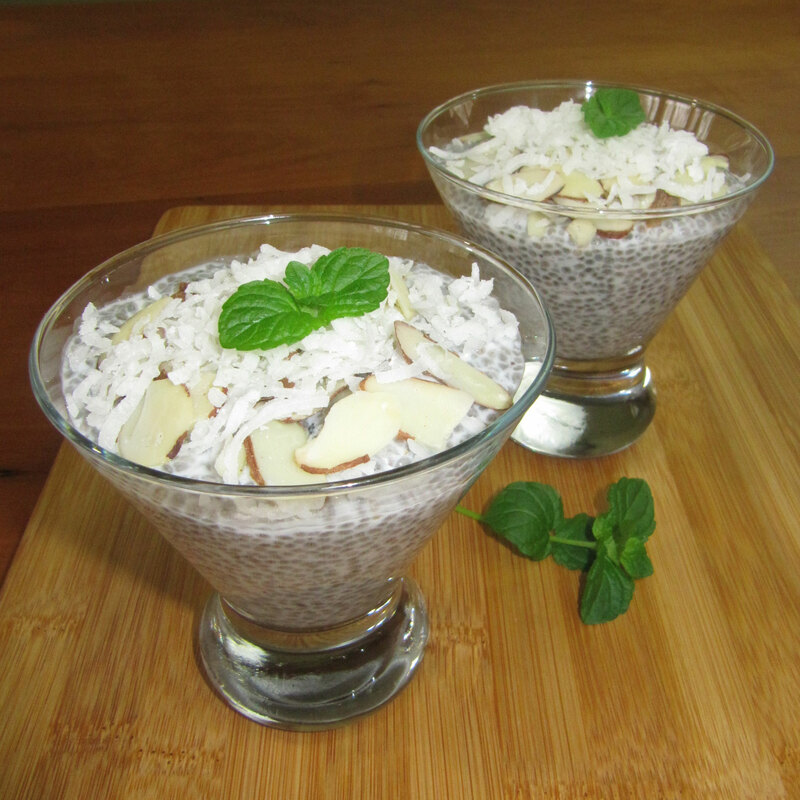 In a medium mixing bowl, whisk together coconut milk, chia seeds, ¼ cup coconut flakes and almond extract. Transfer mixture to 1 or 2 mason jars (or leave in mixing bowl), cover and place in refrigerator for at least 4 hours or overnight. Once pudding is chilled, remove from refrigerator, transfer to small bowls, or serve straight from the mason jar(s). Top with additional coconut flakes, sliced almonds and fresh mint if desired. You can substitute dairy milk or almond milk for the coconut milk. You can use unsweetened coconut flakes instead of sweetened coconut flakes. If you do so, you may want to add a teaspoon or two of your favorite sweetener. 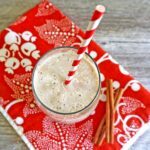 This entry was posted in Breakfast & Brunch, Desserts & Sweet Treats, Healthy Snacks and tagged almond, breakfast, chia seeds, coconut, easy, gluten free, healthy, pudding, snack, vegan, vegetarian. I made this yesterday and it was delicious. I had it last night for dessert. Thanks so much for sharing with Adorned From Above’s Link Party. Look for the new party up tonight. Your recipe looks amazing. I just printed and pinned it. I am going to have to give it a try. I have been looking for a chia seed pudding recipe for a while. 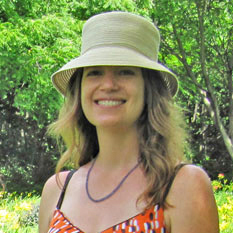 I have a link party at Adorned From Above .com and would love to have you share it with everyone there. Have a great week and hope to see you at the party. 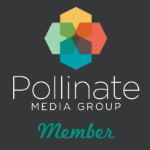 It went live on Tuesday night and goes through Sunday night. Hi Debi, I hope you give it a try and enjoy it! I’ve linked up at your party, thanks for the invite! I have used chia seeds for a few recipes, but never for pudding. This looks great. Thanks for linking this to the This Is How We Roll Link Party! Thanks Cynthia! I hope you give this a try and enjoy! Okay, you’ve convinced me to try chia pudding. I frequently put it into smoothies, but have not ventured into the puddings. This sounds delicious! I’ll be making it soon. Thanks for sharing at my Creative Ways Link Party. Hope you’ll be back this week. Thanks Nici! I hope you give it a try and enjoy! Does this taste like tapioca? It looks exactly like it like you said. I really want to try this out and mainly because it’s a dessert that is somewhat healthy so guilt free! haha! Pinning and sharing! Thanks for sharing this at Totally Terrific Tuesday. I can’t wait to see what you have for this week! Hi Sharon, it does have a texture similar to tapioca. However, this pudding isn’t that sweet, it is very healthy and filling, so is great for breakfast. Hope you give it a try and enjoy! Thank you for joining the party! I will be pinning this to my new healthy recipes board 🙂 Have a wonderful weekend! Looks yummy Joy. I really have to get around to trying Chia. Nice to be co-hosting with you. Thanks Julie! I hope you give this a try and enjoy! Besides from being so healthy, I guess your Coconut Almond Chia Seed Pudding tastes so goo too! I love your picture as well, Joy!! Yummy! Thanks for sharing on My 2 Favorite Things on Thursday! Hope you come back and share some more!! Pinned! I bet my little girl would love this for the texture. I hope you give it a try and your daughter enjoys (she may prefer it a little sweeter)! This coconut Chia pudding looks so good. It will definitely make me like Chia seeds. 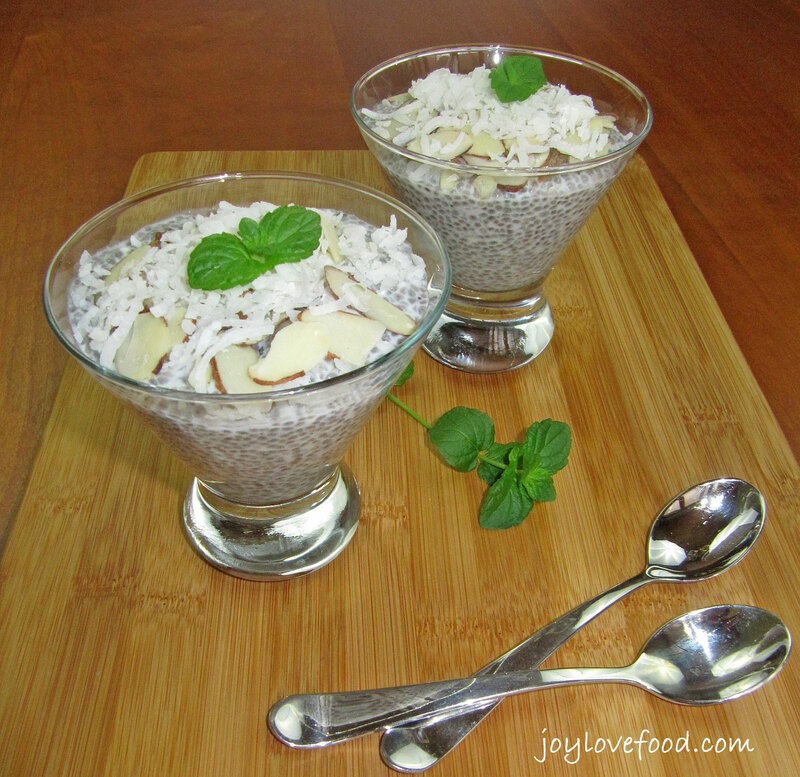 I love chia seeds, and chia puddings are one of my favourite ways to eat them! I love the simplicity of your pudding (and the addition of the almond extract – yum!) – pinned! Thanks Kyra! 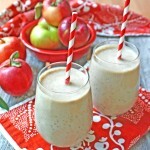 This is my first creation with chia seeds, I can’t wait to try more, they are so versatile! I put chia in smoothies. I’ve been adding it for years and could never get my husband to try them until he read that same book! Haha, now he believes the benefits chia has. Your pudding sounds delucious. We love all things with coconut! ! I’ve really got to try this. I hope you give it a try and enjoy! 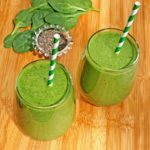 Perfect spin on some healthy ingredients! YUM! 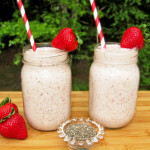 Well, I am a found of chia pudding and this recipe looks like it is a good one! Hope you give it a try and enjoy Michelle! This looks like a smart choice to start the day! Thanks Christine! It is a great breakfast! Yum! Sounds like an almond joy, minus the chocolate. I am always looking for vegan goodies like this and I happen to have all of these ingredients on hand at the moment! Thanks for sharing! Yum! 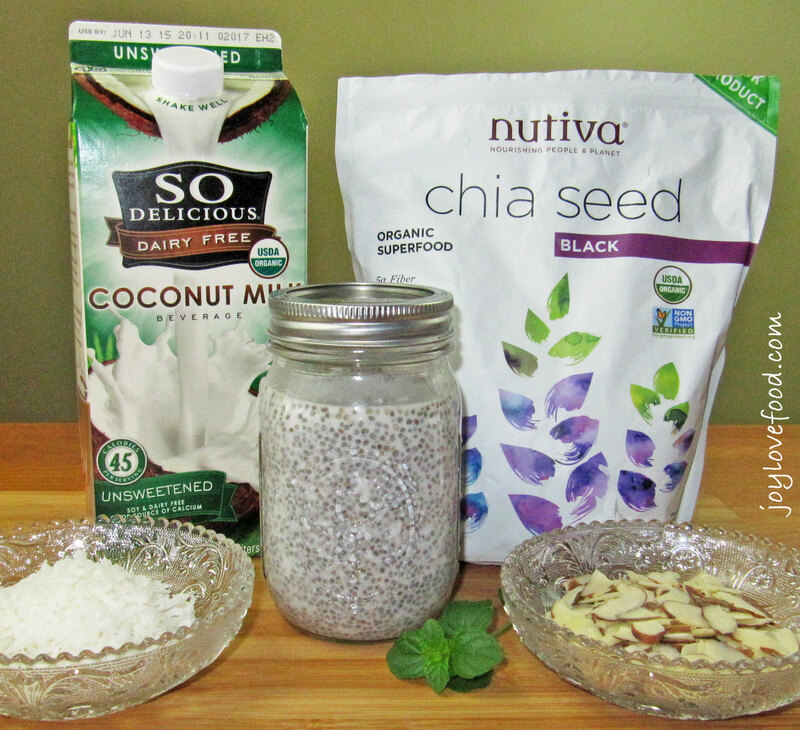 I currently am avoiding seeds, following the GAPS died for intestinal healing, but I love chia seeds and coconut milk.Sharing! I guess it is time to bite the bullet and try these. I did some quick Carbohydrate counts and discovered that they are pretty low in carbs too. Thanks for posting this great idea. Thanks Marjie! Hope you give it a try and enjoy! 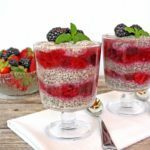 I’ve never tried Chia pudding, but this looks delicious! Definitely putting this on the list. Pinning! I love everything coconut, so this is a must-try for sure! Thanks for sharing! 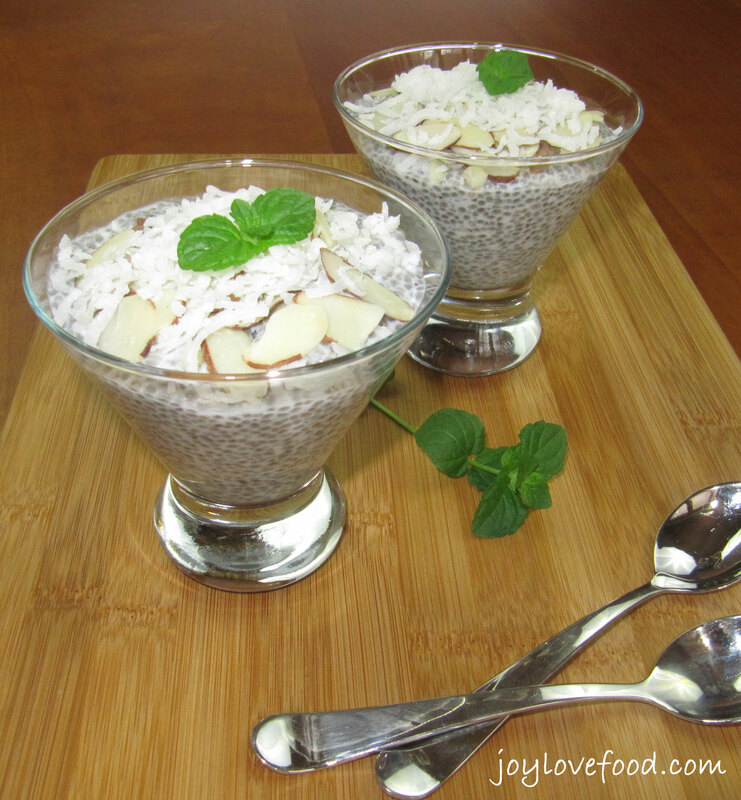 I still need to try making chia pudding! I bet you would love it Rebecca! I actually have all the ingredients at home for this….must try it! Pinned! AnnMarie recently posted…My Best Thrifting Week Ever! Thanks AnnMarie! 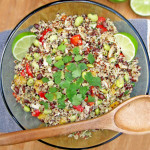 I hope you give it a try and enjoy, this is such an easy, healthy dish!